Although copious amounts of rain interfered with banding operations over the past fifteen days (anyone thinking of visiting the banding station should be warned, rain boots are absolutely essential! ), it has been a busy migration period. Things began to pick up on May 5th after the previous night’s thunderstorms pushed through a large group of warblers, including the season’s first Chestnut-Sided Warbler, Magnolia Warbler, Black-Throated Blue Warbler and American Redstarts. Several Nashville Warblers were banded. This diversity of warbler species continued in the following days, with the first Orange-Crowned Warbler, Wilson’s Warbler, Blue-Winged Warbler and Hooded Warbler banded between the 6th and the 11th. While sightings of other warbler species have been somewhat sporadic, Yellow Warblers have been a constant in the netting area and on census. Several banded Yellow Warblers have been sighted and recaptured, and have most likely established territories in the netting area. Breeding activity is well underway for some species, and House Wrens, American Robins and Yellow-Shafted Flickers have all begun nest-building around the banding station. The first Ruby-Throated Hummingbirds showed up on May 9th in large numbers – six of them were captured during banding (although PIBO is not set up for hummingbird banding, when they do get caught in our nets we check them for bands and make a note of the capture), and a Black-Billed Cuckoo was captured on May 10th. An unusual sighting was made on the 11th, when two Common Nighthawks were spotted perched in trees around the banding station. While Nighthawks are often spotted flying, most commonly at dusk or dawn, but as they are very well-camouflaged birds, they can be difficult to find when they are at rest. These two, however, could not escape detection by PIBO’s well-trained observers! Several episodes of reverse migration have been reported. On May 8th there was a large movement of warblers, orioles, tanagers, grosbeaks and blackbirds moving south. Large numbers of Myrtle Warblers, Western Palm Warblers and Nashville Warblers were sighted, along with the first Red-Eyed Vireo, American Pipit and Orchard Oriole of the season. There was a smaller movement of birds on May 12th, the highlight of which was a Yellow-Throated Warbler. A much larger reverse migration was observed on May 13th, when many hundreds of Tennessee Warblers, Nashville Warblers, Indigo Buntings, Red-Winged Blackbirds and Baltimore Orioles were observed flying south off Fish Point, both on census and by other bird watchers. Flycatcher species were common as well, and the first Yellow-Bellied Flycatcher and Traill’s Flycatcher of the season were banded that same day. Spring Song activities kicked off on May 9th with the start of Pelee Island’s annual Bird Race. Although the morning of the 10th was slow for birds, in total the eleven teams sighted 157 species. Congratulations to J and K Rolling, who were the winning team with 121 species sighted. 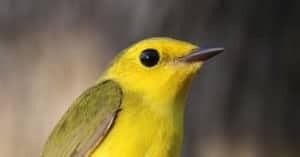 The Spring Song weekend was also enlivened by a male Prothonotary Warbler, which was frequently observed singing around one of the nest boxes at Fish Point. A couple Yellow-Breasted Chats were also spotted at various points on the island. Many thanks are owed to Jim and Pat Woodford, and Eric and Abbey Orosz, for their work volunteering at the banding station!